​Kim Kardashian and Kanye West's name for their third child surprisingly caught us off guard, as we were definitely expecting an unusual name, but we weren't thinking of "Chicago" at all. The two ​welcomed their baby girl via gestational carrier back in January, and Kim has since explained their reasoning behind the name. "The name Chicago…everyone asks me where we came up with that and Kanye's originally from Chicago and the city is really connected to his memory of his mom and, so, we went with Chicago." Makes sense. In the same episode, Kim also shares what names she and Kanye were considering, and honestly, they're even more unexpected! While talking to her sisters, Kim reveals she considered "Italy, Milan and Rome" as potential names for ​Chicago, admitting she "scoured a map" for ideas. "Zodiac signs and biblical names" like "Aaron and Abel" were also considered, but Kim says she didn't like them too much. "I got the most ridiculous ideas, like 'Queen' and 'Vuitton' and 'This.' Kanye's cousin is like, 'Miracle,' and I'm like, 'Miracle West'?! That's like Miracle Whip, and that's the biggest stripper name of all time. And then he's like, 'What about 'Precious'?' and I'm like, 'Clearly we don't have the same taste in names.'" Yeah... We think Chicago is definitely the best out of all of these! 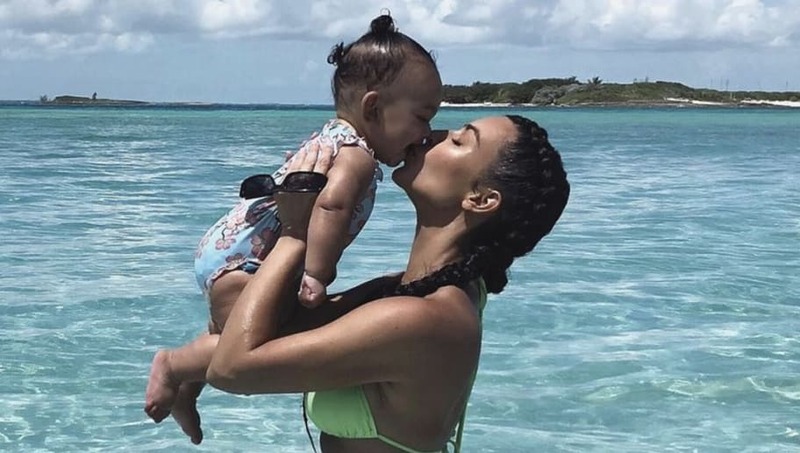 Along with Chicago's siblings, North and Saint, as well her as ​her cousins, with names such as True, Dream, and Stormi, we're sure the youngest West will feel completely fine with the unusual name. Better than a boring one!